I like washi tapes. I mean, who doesn't. Whenever I see cute ones at Target, Walgreens, Micheal's sometimes eBay, I buy them. Over the past year, I've accumulated a lot. 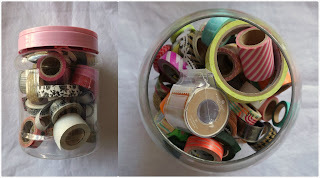 At first, I put them in the pink lid plastic jar to display on my craft shelf, cute but hard to reach the one I want to use. Then I got more than the jar can handle so I put the rest of them in a small fish bowl. Every time I wanna use one particular washi tape, I needed to dump all them out, find the one and put them all back. Effect makes using washi tape less fun. Last week, I saw this multi pant hanger in a thrift store. I recall that I saw people using this kind of hanger to organize ribbons from Pinterest. 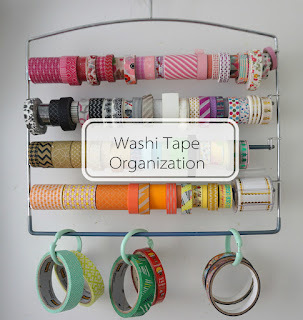 I thought, I could use this to solve my washi tape organizing problem. I used the four upper swing arms to store small washi tape rolls. 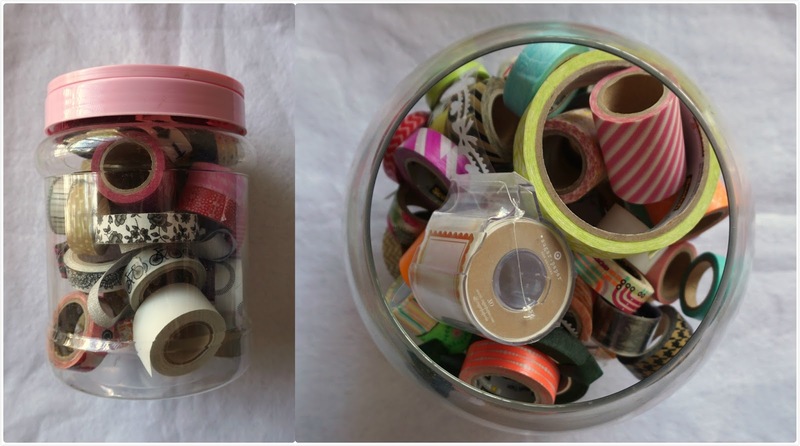 Now I have the bottom arm and big washi tape rolls. I used my spare shower hooks. Now I can easily access to my washi tape.